Marble has been used by master craftspeople throughout the ages to adorn palace floors, ceilings and walls. 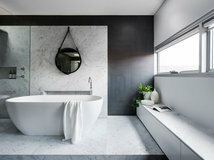 Although it was once a show of wealth and power, today marble tile is making its way more and more into everyday homes – bathrooms in particular – all over the world. The question is, should it? 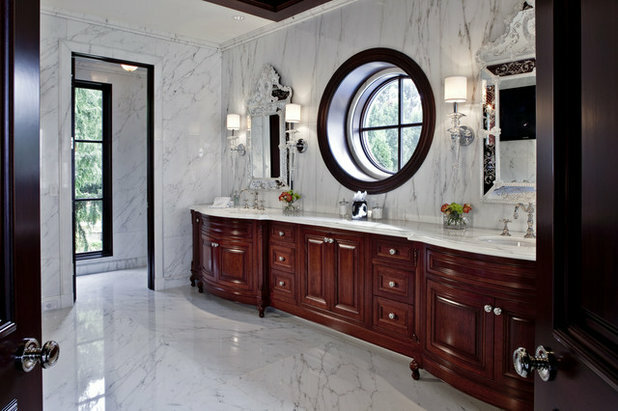 Because there’s a finite amount of marble in the world, it’s become more difficult to find quality marble for a home design project. 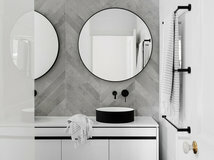 Let’s take a look at the pros and cons of this beautiful material, and some things you should watch out for when you’re considering putting it in your bathroom. Marble is a metamorphic rock that’s been used for thousands of years. 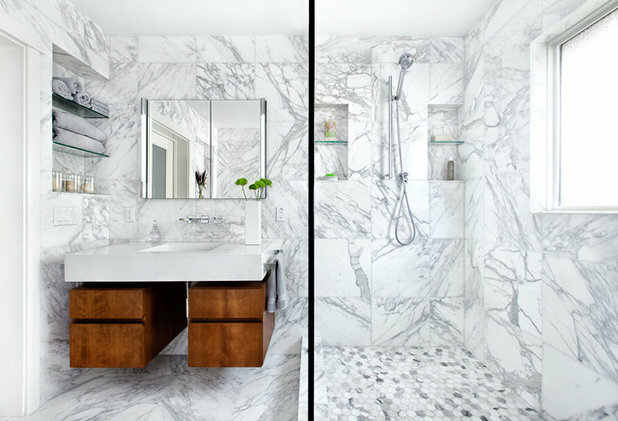 Each piece of marble is different – the variety in veining and colouring is often considered its best trait. 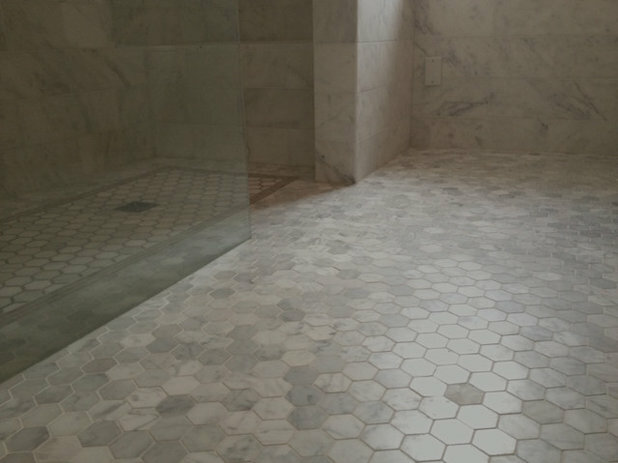 Marble tile can have an even or less uniform look, depending on the type and quality of marble you purchase. 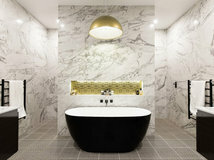 Most high-end marble has a very even colour palette with soft veining. 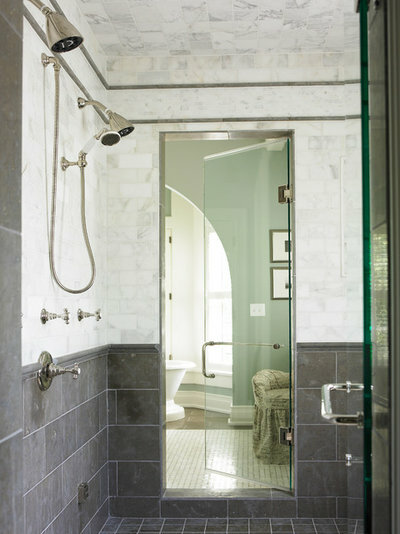 The look – like in this shower – is elegant, soft and uniform. 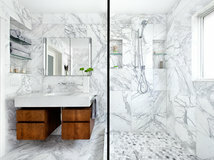 This installation has a marble with a more pronounced vein (most likely Calacatta) for a less uniform look. 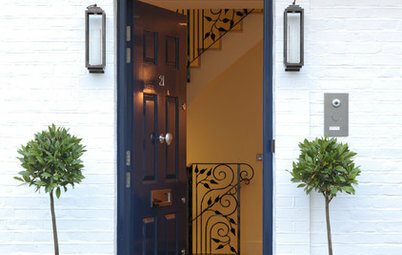 This can be just as appealing, due to the unique shapes and details that the stone creates. From an installer’s point of view, the closer to Italy and Greece a stone is sourced, the better it will hold up in a wet environment. I’ve also noticed that more veining often indicates a higher iron content, causing the stone to change in appearance over time. 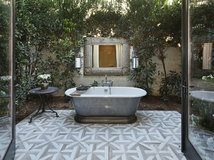 Tip: If you cannot find or afford Italian marble, a good-quality porcelain tile might offer a similar look. Marble is very easy to work with. 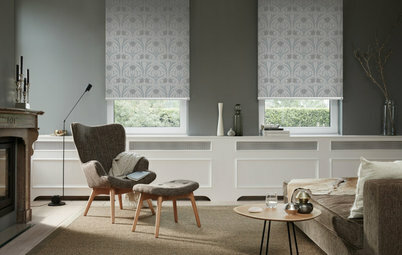 It is a softer stone that can be milled, machined and tumbled, which means it can have multiple uses. 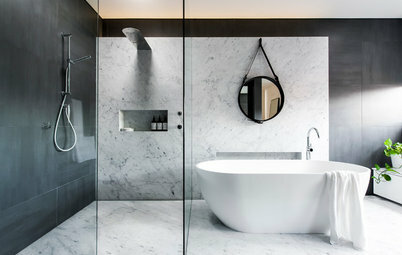 This bathroom has full slabs of marble for walls, benchtops and flooring, and then smaller pieces for the cornices and door casing details. Because it’s a soft stone, marble is very absorbent. For example, if you dye your hair in a marble shower, the dye can stain your shower floor. 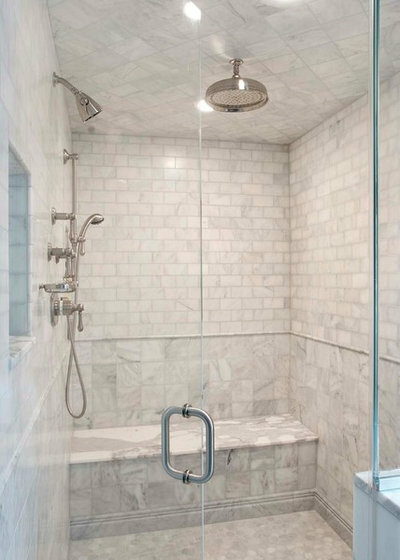 Many people choose a durable porcelain tile to complement marble (as in this photo) for this very reason. 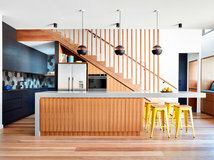 Marble is easily etched by acidic materials, such as lemon and certain cleaning products. If you want to use marble in your bathroom, I suggest testing lotions and other bath supplies on samples to see if there’s a reaction. For this reason, marble isn’t the best choice for children’s bathrooms. 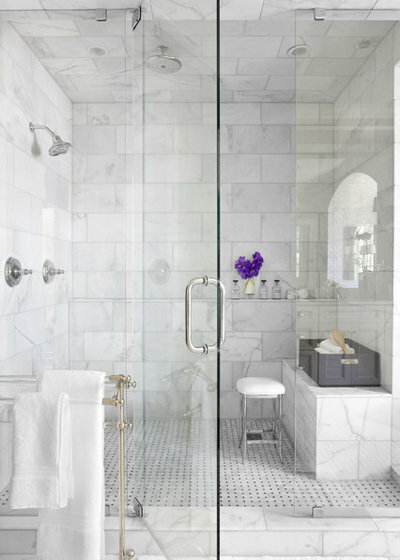 Because marble contains minerals, there’s always the risk that its iron content will turn to rust in a bathroom. A beautiful installation can be ruined when the iron buried deep in the marble discolours from humidity and moisture. I suggest performing a soak test to make sure the marble you’re considering will work in your bath or shower. Simply put the tile you’re considering into a bucket of water for two days, and then take it out and let it sit for two more days. Observe any changes carefully. 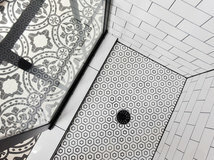 Warning: If you are selecting a sheet tile or small marble tile pattern attached to sheets, know that in any shower renovation, 95 per cent of the back side of the tile needs to be in contact with the tile concrete. 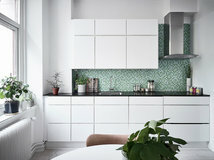 This adhesive is often installed with a notched trowel, and not all tiles – including many marble sheet tiles – can reach 95 per cent coverage. 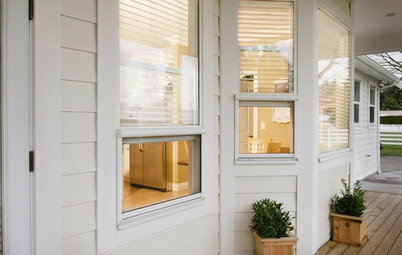 In my opinion marble should be sealed with a quality sealer and maintained on a regular basis. 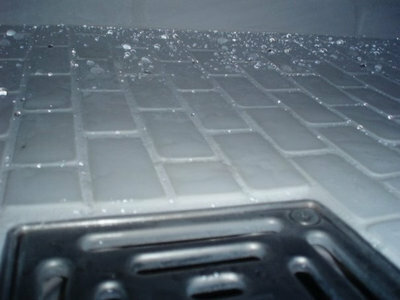 Avoid using strong cleansers (nothing acid-based) to prevent etching or damage to the sealer. Soap, water and a good nylon scrub brush will do the trick. I always offer porcelain tile as an alternative to marble. 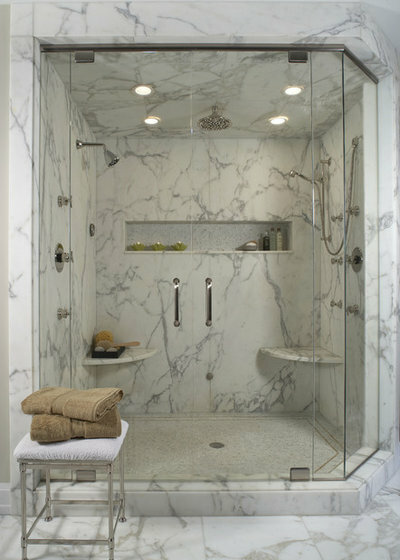 Many porcelain tiles look like marble and offer more durability in showers and steam showers. Here you can see the effects of a quality sealant on an Italian marble shower. Tip: Make sure not to get sealant on the edges of the tile before grouting. This can result in a poor bond between the grout and the tile’s edges. There is only so much marble in the world, and there are some suppliers of poor-quality or unsustainable marble. Quarrying and transportation can contribute to a big carbon footprint if you haven’t done your research. If you found this story helpful, like it, bookmark it, save the photos and share your thoughts below. Join the conversation. Lived in Italy for years. Our house, and every Italian’s house we were in, had marble staircases and entryway walls. 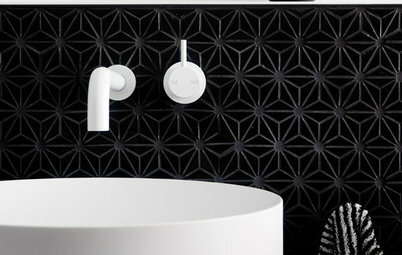 But all bathroom and kitchen surfaces were tile, usually ceramic. 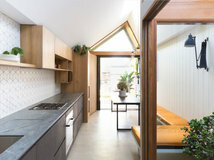 The only exception, a space for making bread in the kitchen. Good article, but somethings to reflect on, such as Greece and Italy marble are the best; they have been producing for a long time, but Marble from Brazil, Africa and Asia have same or even better quality. 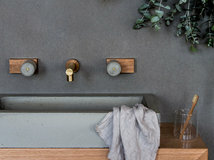 Important to keep in mind that by doing a project with natural marble, it will be unique, as all the materials are made by nature, giving it a very special touch.